Jason Vale says he was an addict of smoking, alcohol, and junk food and a chronic sufferer of psoriasis, eczema, and hay fever. 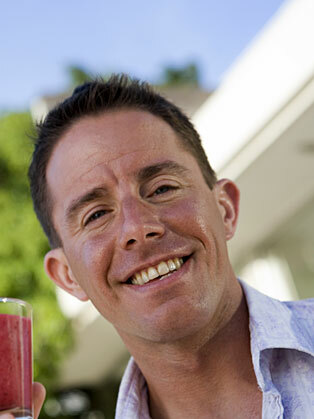 Vale was then influenced by early juicing pioneer Normal Walker and began juicing to improve his health. In his book Slim 4 Life, Vale states that he lost weight, gave up smoking and drinking, and stopped eating junk food by changing his mindset to his addictions. Vale claims that as a result of daily juicing he lost four stone and is now free of his skin conditions and hay fever. With the launch of his first published book in 2001 as the self-titled Juice Master Vale has continued to promote the health benefits of consuming freshly extracted juices and smoothies in the media. Vale opened his first juice detox retreat in Turkey in 2005 and organises health seminars across the United Kingdom and Ireland. He also began his TV career as a manager on Channel 4's The Fit Farm and has since appeared on This Morning, GMTV and numerous times on Five's The Wright Stuff.